A pack of wolves, including five pups, has turned up in Siskiyou County in Northern California. The pups are especially significant as they're first documented since wolves were extirpated from the state in the 1920s. The adults likely came from Oregon, according to California wildlife officials, but are most likely not related to OR7, the lone male who wandered into the state in December 2011 and sparked a heated debate about the return of the predators. 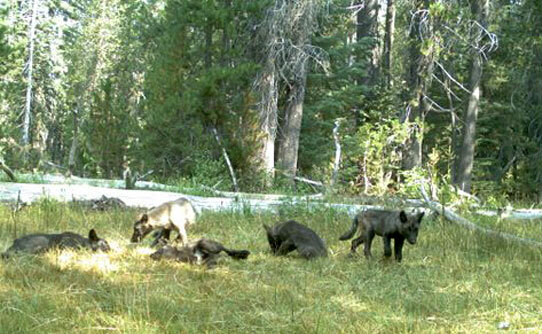 The "Shasta pack," as wildlife officials have dubbed it, was photographed with remote trail cameras and officials are considering putting a radio collar on at least one individual to track its movement. “This is one of those rare moments when those of us who are longtime wolf advocates get to howl in celebration,” said Amaroq Weiss of the non-profit Center for Biological Diversity. Gray wolves were declared an endangered species in California in June 2014 and are also protected under the federal Endangered Species Act. That makes it illegal to harass, kill or harm the animals. 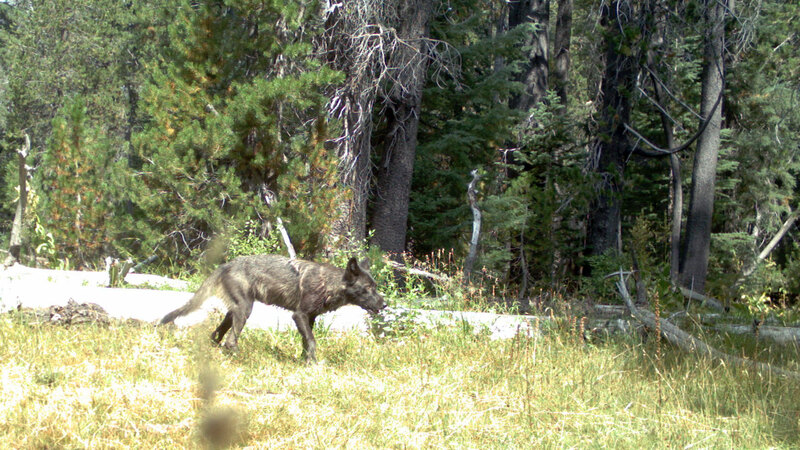 While OR7 has since left California and joined a pack in Southern Oregon, officials expect more wolves to follow. Some cheered his arrival, seeing it as a sign that wolves would soon reestablish themselves in California. Others warned about potential conflict with livestock, as has happened it other Western states. The state is currently working on a management plan for wolves that will govern how the population is handled. Officials expect to release a draft by the end of the year. “Our assessment of the most likely scenario for wolf reestablishment, mostly in terms of timing, is going to need to be updated,” said Karen Kovacs, a wildlife program manager with the state. Other Western states have set up programs to reimburse ranchers whose livestock are killed by wolves. While the management plan will examine such a program, officials say there’s no way to establish one yet. “That would take some kind of legislative action,” said Kovacs. Kovacs says she’s hopeful to avoid those conflicts with this pack.